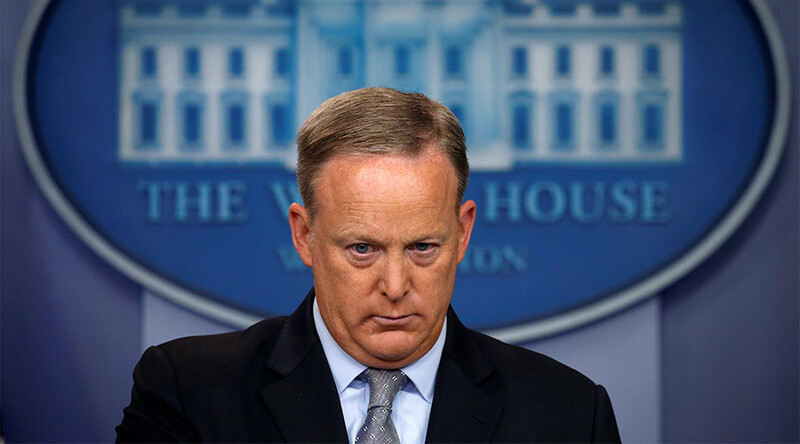 President Donald Trump’s first press secretary, Sean Spicer, has resigned his post, reportedly over objections to the new White House communications director, Anthony Scaramucci. Spicer will be replaced by his deputy, Sarah Huckabee Sanders. In a tweet shortly before 2pm, Spicer confirmed he was leaving the White House, but said he would stay on the job till the end of August. His name remains on the White House press secretary’s Twitter account. 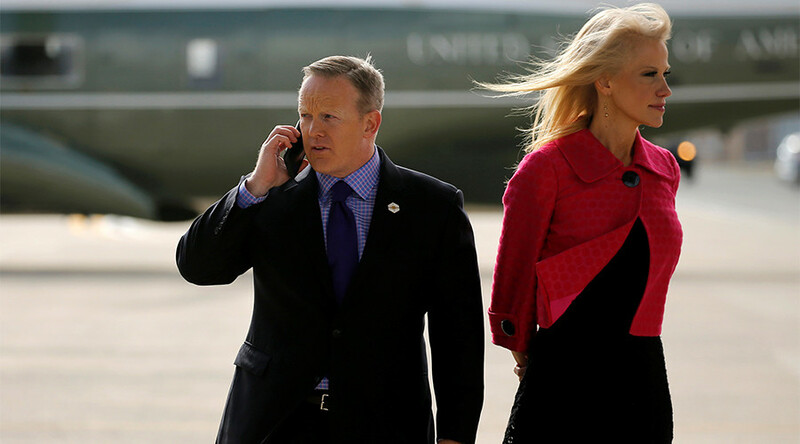 “It’ll be great, he’s a tough guy,” Spicer said of the incoming communications director. 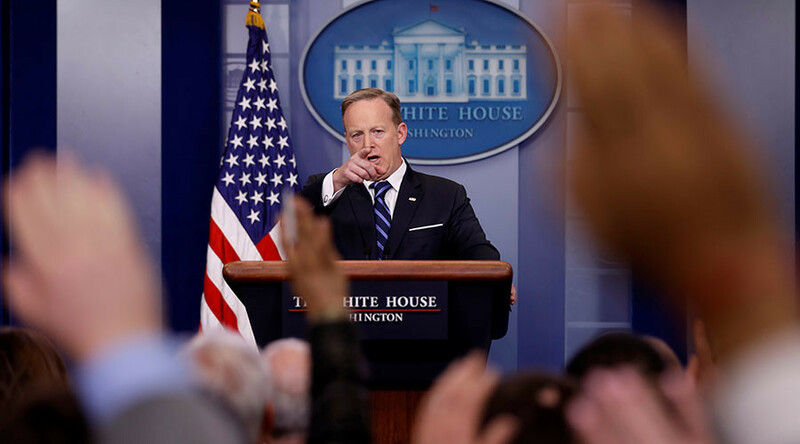 Sanders confirmed Spicer's resignation and the reasoning behind it on Friday afternoon, at the first White House on-camera briefing in weeks . “Slow news day? Quiet crowd?” she joked as she introduced Scaramucci to the reporters eager to ask questions. He stayed on the podium for over 30 minutes. The Wall Street financier said his mission would be to close the "arbitrage spread” between how the White House thinks it's doing and the opinion of the press and the general public. Scaramucci said the communications team thought it important to "let him be himself," referring to Trump's sizeable reach on Twitter, and told reporters there was a "lot less palace intrigue" at the White House than the media made it seem. Last month, CNN accused Scaramucci, a former Goldman Sachs banker and prominent Trump supporter, of ties with the CEO of a Russian investment fund, but subsequently retracted the story in full, apologized to Scaramucci, and fired the three reporters and editors involved. 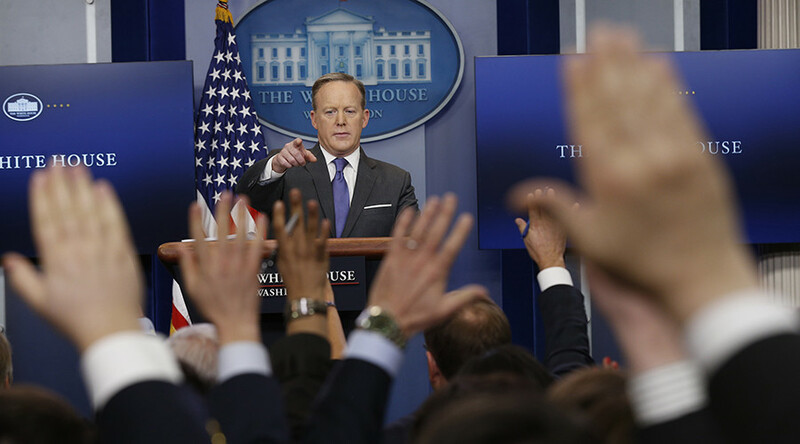 Formerly a spokesman for the Republican Party, Spicer had a rocky relationship with the White House press corps from day one, when he called into question reports of the crowd size at Trump’s inauguration. He was also often lampooned by Saturday Night Live, along with the president himself. In May, the Washington Post described Spicer as “hiding in the bushes” with his staff to avoid the press, prompting detractors to decorate their topiaries with cardboard cutouts of the spokesman’s head. The Post later clarified Spicer’s location as “among the bushes,” but the memes stuck. Spicer’s televised White House appearances eventually gave way to off-camera, audio-only briefings, broadcast on a time-delay. His last on-camera appearance was June 26. Since then, Sanders has taken up the duties of the principal White House spokesperson. Spicer’s last press briefing was on July 17. During a rare, on-camera briefing on Friday, Sanders announced the personnel changes, then invited Scaramucci up to introduce himself to the press and answer their questions. He began his remarks by revealing that Sanders will be promoted to press secretary. 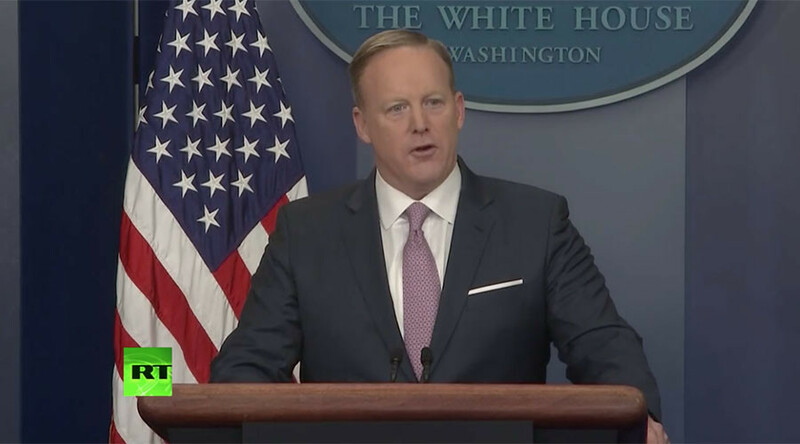 Spicer also served as the White House communications director from January to March, when GOP public relations operative Mike Dubke was appointed to the post. Dubke resigned without an explanation at the beginning of June. He will appear as a guest on ‘Hannity’ Friday evening, alongside Scaramucci and White House chief of staff Reince Preibus, Fox News has announced.